Inky Fairy Designs: Watercolor Wednesday - Exciting news from The Greeting Farm! Watercolor Wednesday - Exciting news from The Greeting Farm! I am SO excited! When Joni and Rosemary asked me to be their holiday guest designer there was NO hesitation on my part! 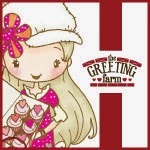 I eagerly accepted as The Greeting Farm is my first stamping love and I'm pretty blessed with a friendship that bloomed when Marie accepted my crazy request to pick up my stamps once I realized she was right here in Colorado all those many moons ago. We've had hours of laughter over packing stamps together and now 5 babies later between the two of us (she is almost caught up with me now LOL), it's easy to say she's one of my closest friends. While at my very first CHA show, Jessica took me under her experienced wing and showed me the ropes thus another friendship bloomed - it became our tradition to have breakfast together before the show. It's just one of those things I love about this hobby - the friendships are definitely by far my favorite part. 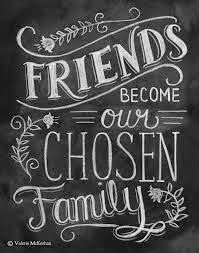 I'm sure you can tell, everyone that has been and is part of The Farm becomes family. 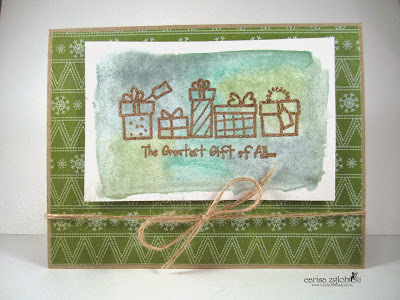 Watercoloring has taken the stamping industry by storm and I have definitely been bitten. I love applying colors and seeing them move across the page and blending together. It is definitely trial and error as you have to be careful which colors you place together as it can quickly turn to yucky mud. LOL One tip is to keep cool colors and warm colors apart only blending within the color family. Of course using your primary colors together like red and blue or blue and yellow is always fun because you can get those purples and greens as they blend together. Be sure to visit my first post on The Greeting Farm blog to see the rest of the cards I created as well as my tip for embossing! Also, there is a fabulous sale going on at The Greeting Farm with more items being added! Be sure to check it out HERE. I know it has been quiet the past couple weeks on my blog but I promise there are many, MANY exciting things in the works…I should be back with an announcement this Friday so be sure to subscribe to my blog so you don't miss a thing. It is about to get VERY busy up in here. I will also be back tomorrow with my weekly Visible Image inspiration post which you won't want to miss!